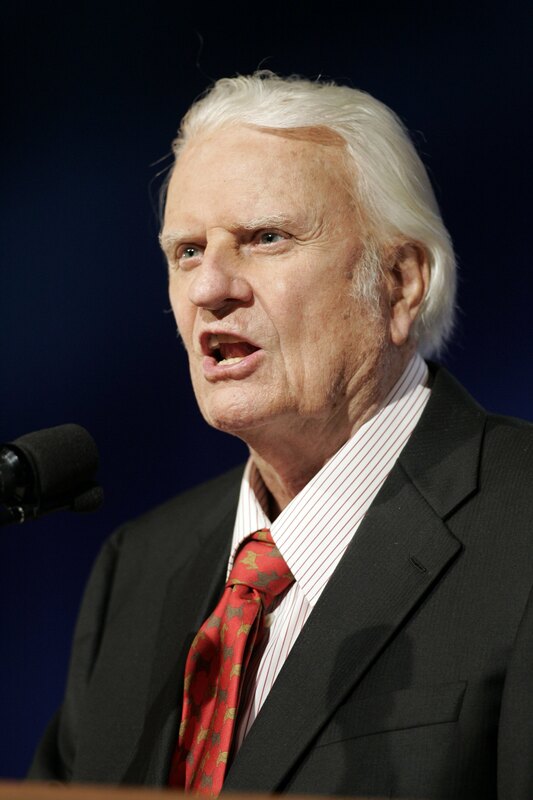 In an interview with McCall’s magazine, January 1978, entitled “I Can’t Play God Any More,” evangelist Billy Graham said: “I used to believe that pagans in far-off countries were lost — were going to hell — if they did not have the Gospel of Jesus Christ preached to them. I no longer believe that. … I believe that there are other ways of recognizing the existence of God—through nature, for instance—and plenty of other opportunities, therefore, of saying ‘yes’ to God.” Though Graham later tried to stem the controversy brought about by his comments, he continued to allow for the possibility that the unsaved in other religions might not go to hell if they respond to natural light. In 1985, Los Angeles reporter David Colker asked Graham: “What about people of other faiths who live good lives but don’t profess a belief in Christ?” Graham replied, “I’m going to leave that to the Lord. He’ll decide that” (Los Angeles Herald Examiner, July 22, 1985). Some years later, during an interview with Robert Schuller (Source: 5/31/98 television interview with Robert Schuller, as reported in the May-June 1997, Foundation magazine) he confirmed that to him a man can be saved apart from the name of Christ. Here is part of that interview. This entry was posted in Apologetics, Billy Graham, heresies, Salvation, Videos and tagged bible, billy graham, god, jesus, robert schuller, salvation. Bookmark the permalink. Sometimes I wonder if it comes down to a matter of semantics. Did Abraham believe in Jesus Christ? He certainly understood God’s Grace; and the Lord declared him righteous because of his faith. But I don’t think it is necessarily true that Abraham heard the story of a man dying on a cross before he placed his life in God’s hands. While I would affirm that Jesus was and is the Messiah, what is the base belief requisite of salvation? To believe that there is (was, or will be) a Messiah, even if not yet hearing of Jesus? To believe that God is sovereign, just, and also gracious; even if those characteristics are not understood to be personified in a human? Billy Graham’s statements are misleading because he fails to use any scripture to outline how he recognizes (or “believes”) faith in the atonement of Jesus to be simplified into a saving faith bore out of nature, human experience, or other methods of revelation. Ben, i have explained what according to the Bible a man must do now in order to be saved: he must repent and believe in the death of Christ and His resurrection. There is no other way of salvation. Thus Billy Graham is greatly mistaken. I hope he repents of this heresy. The qualifications (diction?) for heaven have changed since Jesus died? Do you have an opinion of whether Diaspora Jews (those scattered across the Hellenic World, outside of Palestine) who were righteous still after 33 AD would be shown grace if news of Jesus’s salvation had not yet reached them? This is assuming that we both agree that Abraham has been saved from everlasting destruction. The point I am raising is that I do not have an understanding yet of what exactly has changed “now,” if we are to say that Abraham was saved by a different faith than, say, Paul. Ben, Abraham and other people under the old testament were saved by faith, but they could not believe that Jesus of Nazareth is the Messiah, and that He died for our sins and rose again, for Jesus had not yet come to save the world. However they believed in God, in His promises concerning the Messiah. But that was another dispensation (let us call it in this way) Now the Messiah has come and His name is Jesus of Nazareth, He has died and resurrected, and thus in order to be saved one must repent and believe in Jesus. This is the way of salvation according to the Bible. The Messiah has come, the gospel has been revealed, thus no one can come to the Father except through Jesus Christ. So those who cannot hear the gospel and believe, go in perdition. It does not matter if they are Jews or Gentiles, they are condemned. The old test directly refers to Jesus from Gen. to mat. and wasnt it Jesus who made His grave with the wicked and The Righteous (Boosom of Abraham – Paradise ) and we know the story from there. They where waiting on JESUS ! was it David who said in the spirit and The Lord said to my Lord sit here at my right hand. My people parish for lack of knowledge! and in some cases God all so said because they REJECT knowledge ! Even Abraham knew the only way to The father is through The son ! And he waited on Him along with the other righteous. JESUS IS LORD nnothing was made that was not made through JESUS and even nature declares HIS NAME if WE just seek HIM with all our heart you will find HIM.